Copper has been hugely popular for more than five years, but it has peaked as brass has taken its spot in the forefront of design. Silver metallics are predicted by trend forecasting agency, Scarlet Opus, to return to favor, so watch for that movement. Millennial pink has been having a moment, but the obsession is unlikely to last forever. Powdery pinks look chic with gold, grey, corals, and nudes, but some predict that they will look dated as early as the end of next year, so beware. Lavender as the new pink? Victoria Beckham and Michael Kors Collections are hinting that pink will be replaced by lavender. This soft purple hue may well be the next “it” color and make its return in knits, suiting and whimsical formalwear—so weddings and event design can only be so far behind. Embracing outdoor-inspired color palettes continues to be on-trend. 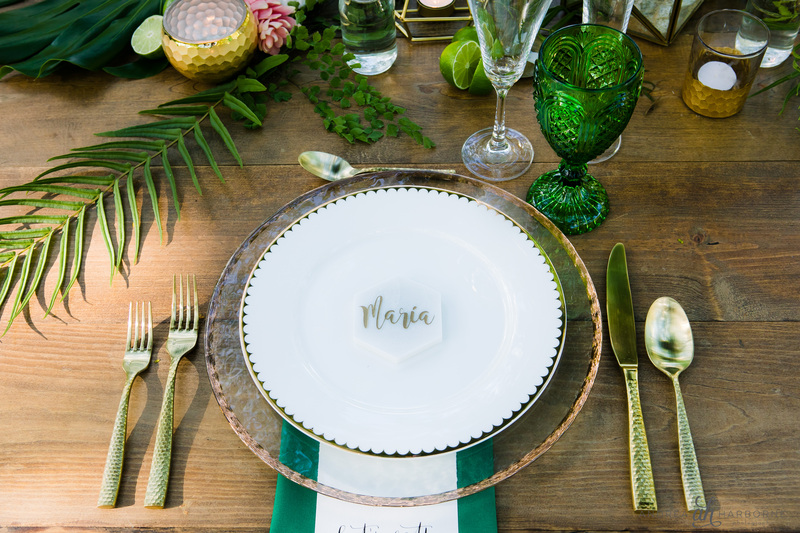 “Couples are interested in incorporating elements from Mother Earth, which means very natural, warm ‘soil’ colors,” says Cindy Salgado, Founder of Cindy Salgado Wedding Design & Events. Clay pots, succulents, and greens are all featured strongly in current design, supporting this theory. According to Reesha, Founder & Creative Director of Pret à Papier, “Moody colour schemes with burgundy, oxblood, smoke, black, rich plums were big this fall and will continue in 2018.” From shades like sultry burgundy and magenta to cool emerald green paired with softer pinks and purples, the understated nature of these colours keeps them from being overly saccharine, while keeping them firmly in the moody wedding colour category. 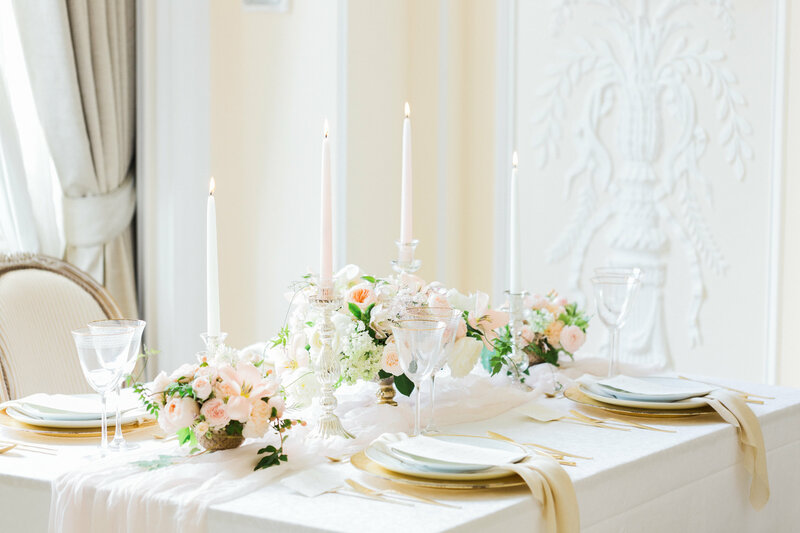 The white-on-white trend will continue to grow, but with black accents such as a black belt around a white dress, black cutlery, black candles, and black styling on bars. Otherwise, all-white design will be complemented with an abundance of greenery over blooms. There really isn’t a single good word or phrase that encompasses the eclectic mix of styles that are represented in this year’s color trends, and perhaps that’s a good thing. Palettes all over the color spectrum mean that there is truly something for everyone. Find the latest trends at Catersource 2019! Click here for the latest information on our 2019 show.